With today’s fast evolving corporate world, organizations are expected to adapt to the changing needs of training and improve their learning culture. Everything is evolving: Learners are more demanding, new technologies, new skills, automation, and globalization is expanding our reach. Our ability to adapt to change and how fast we adapt to it often defines our success. Organizations are constantly looking to improve learner’s experience in their training and development programs to generate more productivity and employee engagement. The significant trends for 2018 reflect the challenge and opportunity for training professionals to develop learning experiences that enable learners to reach proficiency in the shortest amount of time. So what are the trends to watch in 2018? Learners expect and require training that is customized to fit into the context of their workflow and meets the specific needs of their job role and function. To do this, learning leaders must shift their focus from creating generic learning programs to designing customized learning paths that encompass the entire learning experience – from the point of job entry to when the learner achieves expert performance. For instance: Procurement and Supply Chain Academy provides role-based e-learning solutions based on what the employees need for their specific roles. A gap analysis is carried out prior to assigning the learning program to have an in-depth insight about where the employees need improvement. In this way, they are given a tailor-made learning plan. Ultimately they can instantly apply what they are learning. This kind of customized learning proves to be more efficient as employees are being trained not just for the sake of doing so but to enhance their skills and knowledge to be more productive. According to the IBM report about ‘The value of training’, every dollar invested in online training results in $30 in productivity. This proves that digital training leads to employee engagement and a higher productivity rate which results in an increased in profitability. More and more, companies like KFC and Walmart are adopting virtual reality (VR) to train employees. At the University of Nebraska Medical Center they’re taking that training to the next level with a cutting-edge simulation facility opening next year. The facility is aimed at training the next generation of healthcare workers using simulations like virtual and augmented reality programming to provide real-world, experiential training scenarios. Microlearning is a way of teaching and delivering content to learners in short spurts of learning, in bite-sized chunks. This way of learning is growing in popularity and the reason behind this growth is mainly because of the majority of learners who are millennial. By 2025, millennials will make up 75% of the workforce. Microlearning proves to be the most effective way to train millennial employees since their average attention span is 90 seconds. Microlearning videos are usually four minutes or less. These short but content-rich videos allow learners to stay engaged throughout the duration of the video compared to one hour of video learning which proves to be exhausting and less engaging. Microlearning is straight to the point and very intense; this kind of content allows learners to grasp important information in a short span of time, without losing their attention. Besides, they are accessible on multiple devices (smartphone, tablets, laptops and desktops) which make it an ideal fit for just-in-time training. Gamification has gained traction over the last few years. Gamification in e-learning involves the use of game theory and game mechanics in non-game contexts to create engagement in users for problem-solving. The focus is on motivating the learner to perform better. The level of engagement caused by gamification has a significant impact on the performance of learners. More organizations are currently opting for gamification solutions to up-skill their employees. In fact, the gamification industry is expected to reach $11 billion by 2020 and it has been proven to be one of the best ways to train and engage millennials. 60% of today’s workforce is comprised of millennials who love fun, transparency, competition and addiction to games. In fact 79% of students in a study said that games introduced to their learning environment would make them more productive. The 2016 Towards Maturity Benchmark Report showed that an overwhelming 98% of organizations want to support the sharing and surfacing of good practice across the business, with the use of in-house social networks increasing by 55%, making them one of the fastest-growing tools for enterprise learning. It’s clear that there’s a healthy appetite for social learning. However, there is still plenty of confusion over the differences between professional knowledge sharing and personal social media sharing. Our view is that tools which encourage easy and open collaboration as a normalized part of everyday workflow are most likely to be used and become deeply embedded into the fabric of the organization. Those that focus on the social sharing aspects may be unnecessarily competing with existing social media platforms outside of the organization. Digital learning is taking the lead with a higher rate of engagement and distinctiveness. This is mainly due to the new era of millennials which will make up 75% of the global workforce by 2025. They find themselves more acquainted to these forms of learning which explains the growing popularity of e-learning solutions. 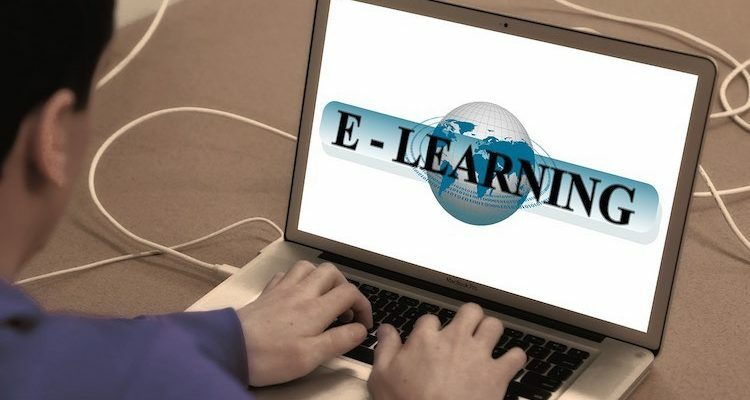 Organizations are increasingly opting for it as part of their training and development programs to create significant business value through increased learning outcome.